Based in Cornwall, David is an accomplished guitarist who is an expert at playing in many styles for any occasion. 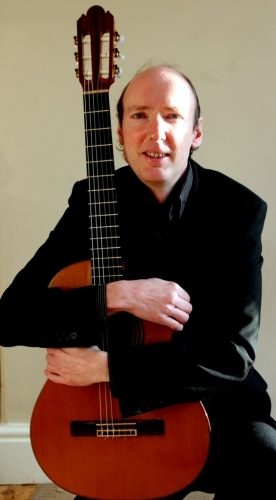 He has established a carefully chosen repetoire which includes classical, flamenco, Latin American and popular songs adapted for solo guitar, perfect for occasions such as weddings, corporate events and parties. He has extensive experience of playing in restaurants and hotels where the beautiful music he performs adds a new dimension to the experience of guests. Weddings are David's speciality. He can play music from his extensive repertoire and music special to the happy couple before, during and after the ceremony at the wedding venue, during the signing of the register or at the wedding breakfast. David will provide the perfect musical accompaniment for your special day. 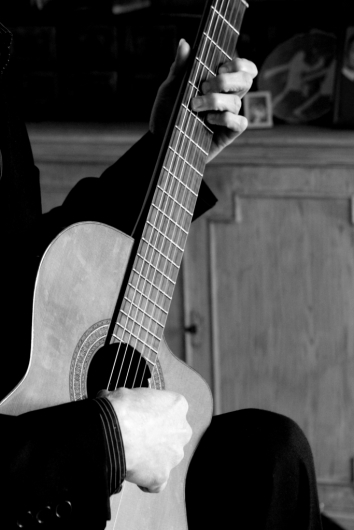 As well as the many classical Spanish pieces written for the guitar including works by Sor, Albeniz and Tarrega, David also plays flamenco, some of his own compositions and many contemporary and classic pop songs as he works with you to tailor the repertoire to your event or venue. David will perform up to four songs or pieces of music chosen by clients for the wedding ceremony, in addition to his already extensive repertoire, all tastefully adapted for solo guitar. So any song or piece of music, even if not in his current repertoire list will be adapted, perfected and ready to be played for your special day.